NHL News : BREAKING: The Leafs have signed a 22-year-old forward to a two-year deal! 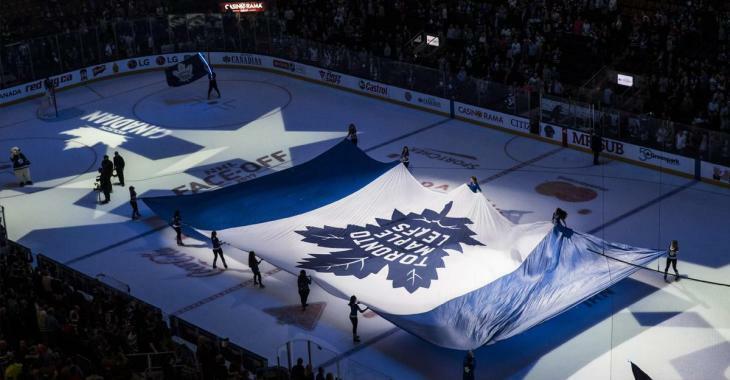 BREAKING: The Leafs have signed a 22-year-old forward to a two-year deal! Great news for the teaM! We have breaking news to announce, Leafs' fans. "A project that has come a long way." Marchment, a 6 foot 4, 200 pound left winger, amassed nine goals and 12 assists for 21 points in 37 games this season. The organization obviously believes he could become an NHL player, someday. Otherwise it wouldn't bother signing the guy to an ELC deal. In case you missed it, Toronto Maple Leafs superstar Auston Matthews was no longer wearing the non-contact red sweater in today's morning skate, just hours before the game against the Montreal Canadiens. There were many people hoping he would be ready for the game, since he's been practising with the team for a few days already. Head coach Mike Babcock, however, did not think it would be wise to insert him in the line-up just yet. "Mike Babcock updates on #Leafs: Nikita Zaitsev and Frederik Andersen skated today, won’t play. Leo Komarov is day to day, won’t play. Auston Matthews getting close, won’t play." The 20-year-old appeared in 53 games this season, in which he recorded 28 goals and 20 assists for 50 points.